it’s time for a quick update on week one of whole30. we’re on to week two already but before we get to that, let me give you a quick recap. it went a lot better than i thought it would, perhaps because i’ve already done a week one of whole30 before so i sort of knew what to expect. again, my entire goal for whole30 is NOT to lose weight. i am completely happy with the weight i’m at and by no means feel like i need to see the number on the scale go down (although if it does, i’m not going to hate it either). my goal is to have my body feel better from stuff i ate over the past few months. i needed a good detox from all the junk food and the sugar that consumed my life. overall it went pretty well. there were times of course that i really craved chocolate or cheese on my eggs or just a good cup of coffee with dairy creamer. but i would just remind myself why i’m doing this in the first place and busy myself with something else until the craving passed. breakfast consisted of a lot of eggs, bacon and fruit. just about everyday was at least two eggs and a piece of fruit. on days i had a little extra time, i’d throw some bacon in the microwave and add that to the mix. lunch was a salad most days because it was quick and easy. most of my salads looked like arugula and spinach mixed with tomatoes, strawberries, hard boiled egg, avocado and cucumber. sometimes i would add in some shredded chicken if i didn’t have any hard boiled eggs left. dinners definitely had to be planned out for me because if i didn’t plan them, i just wouldn’t eat or i’d start majorly craving chips or another grain. i made steak chipotle salad one night with a cilantro dressing and another night i made chicken hash with sweet potato. 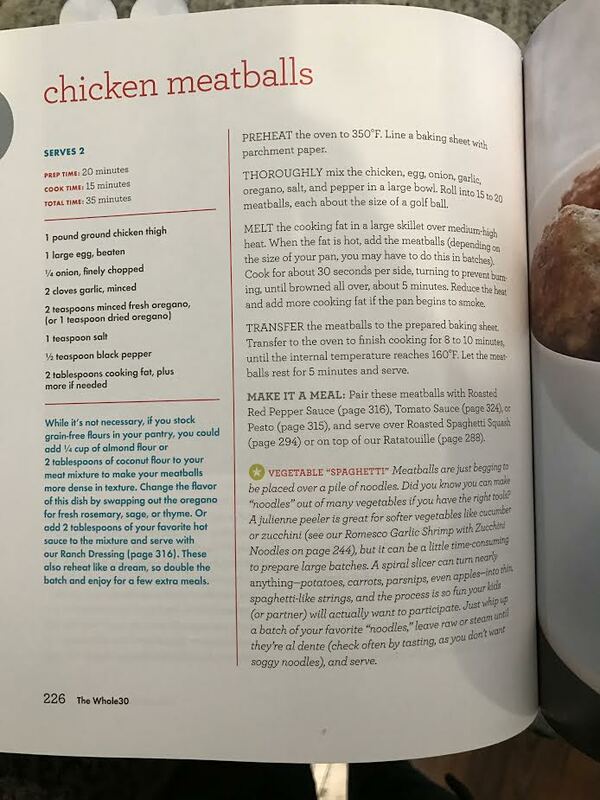 i found both recipes in the whole30 cookbook and i truly believe cooking from this book helped immensely in the prepping process. on nights i wasn’t eating this, i was steaming vegetables and broiling chicken and simply eating veggies and chicken with a piece of fruit for “dessert”. 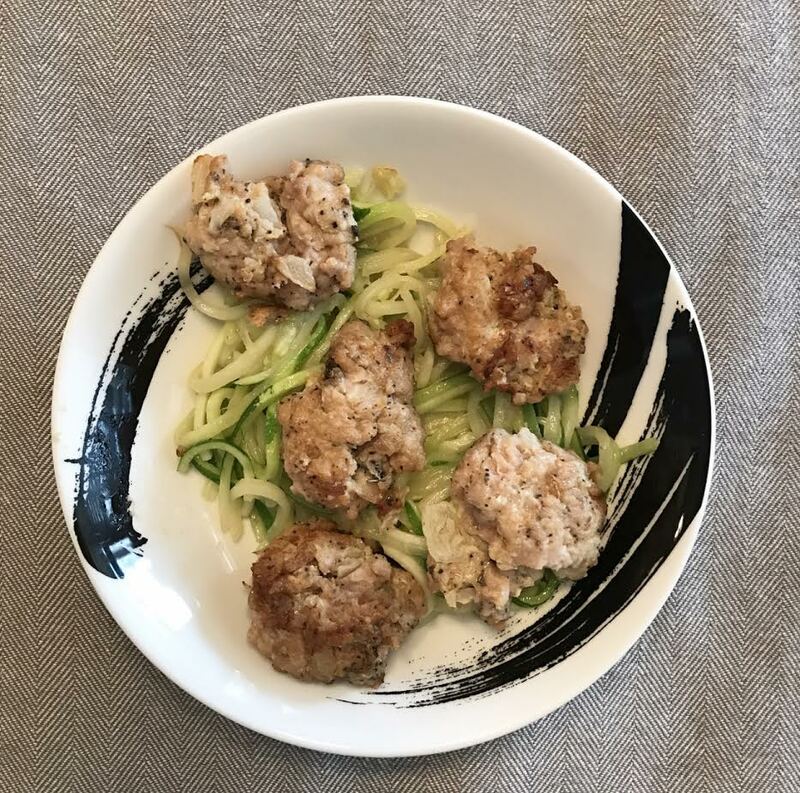 i almost forgot to mention that i made the chicken meatballs from the whole30 cookbook too and the turned out amazing. i’ll share the recipe below but i put them over zucchini noodles and trader joes marinara and it was absolutely delicious. evenings proved to be the toughest for me because my routine for forever after i put the girls to bed is to usually grab a snack and a glass of wine and sit on the couch with a good book or catch up on a tv show. so instead of my usual popcorn or pretzels and a glass of wine, i would grab plantain chips and a la croix. i know it’s kind of a no-no to snack on whole30 but i did NOT feel full enough during the day so i snacked but always whole30 approved snacks. avocados: i eat at least one a day if not two. they’re a great fat food to eat and keep you full. eggs: i’ve eaten so many this week, i can’t even tell you. cashews: these are super easy to throw on salads or munch on by themselves when you need a little something extra. plantain chips: i for sure should have bought more the last time i was in birmingham but believe it or not, amazon carries the trader joes plantain chips so as of next tuesday, i’ll be restocked, ha! la croix: my favorite flavors are peach, coconut, and cherry-lime. tessemae’s salad dressing: just about all these dressings are approved and i went through almost the whole bottle of the lemon garlic dressing in one week. it’s SO SO good. we’re two days in to week two and i’ve already had a few mishaps. more on that next week but my plan for the rest of week two is to meal plan again and food prep when the girls nap/on sunday when my husband is home. i’m noticing more and more that if i don’t have a plan for every single meal (yes breakfast and lunch included), i will slip up and just eat whatever and that is NOT good for me. Looks like a great recipe! I haven't tried Whole 30 but have considered it for awhile. We're starting the whole30 tomorrow (had to wait until after the Super Bowl), and I'm pretty excited! I was nervous at first, but the more I read about it, the less difficult I think it will be. The hardest part for me will be cutting out the wine, and also planning dinners. I've really been interested in trying Whole 30. those meatballs sound great! 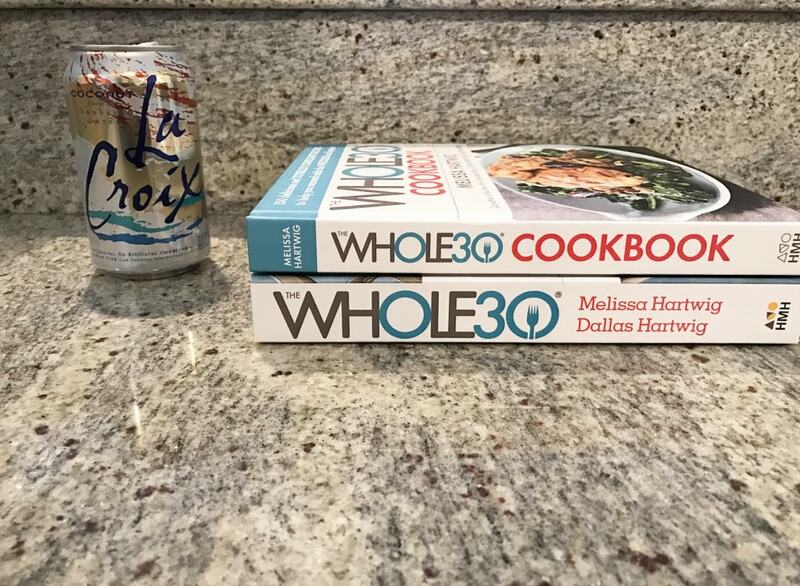 I really want to try Whole 30!